Special edition products will benefit Christina Applegate's Right Action for Women. For Breast Cancer Awareness Month, ASICS has teamed up with Christina Applegate's Right Action for Women, a charitable services fund of the Entertainment Industry Foundation, to help women who are at increased risk for breast cancer. 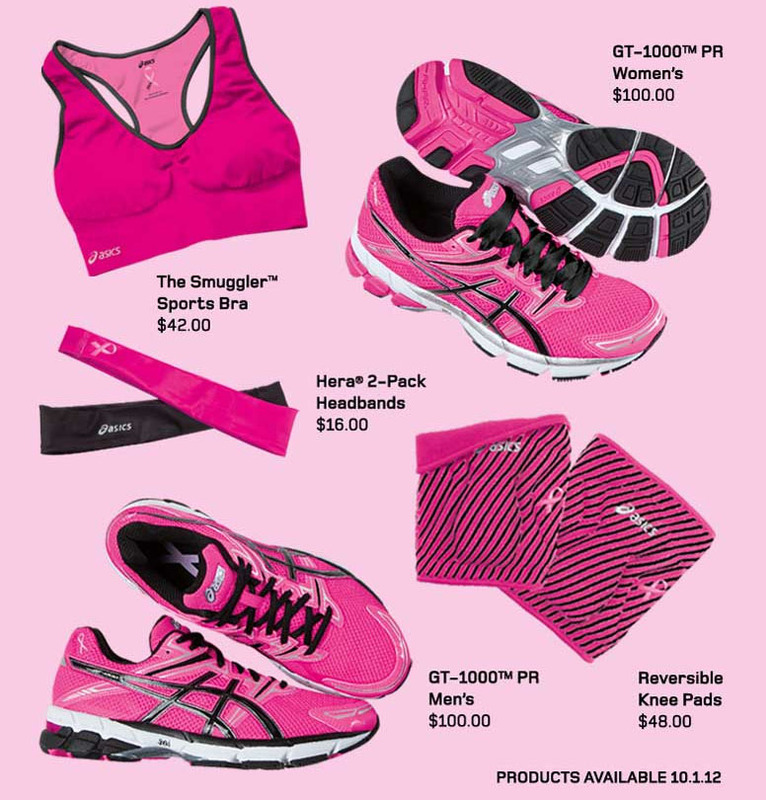 From October 1 to October 31, 2012, ASICS America will support the fight with a guaranteed minimum donation of $75,00, up to $100,000, from specially marked products made available in retail stores nationwide. Men's and women's versions of the GT-1000 PR runner will be available in pink-based colorways, as well as headbands, knee pads and sports bras. Products will hits stores on October 1. Check out the lineup below.